This Bengal Cotton Handloom Saree in Black with contemporary block prints is from our capsule collection REFLECTION. (Shipping Time: 10 – 12 Days, Cash on Delivery (COD) Service Available) Product Code: DLCBK007 Quantity: 1 Product and Dimension: Bengal Cotton Saree: 216.53 inches (5.5 m) X 46 inches approx. Blouse Piece : 80 c.m. This Bengal Cotton Handloom Saree in Black with contemporary block prints is from our capsule collection REFLECTION. 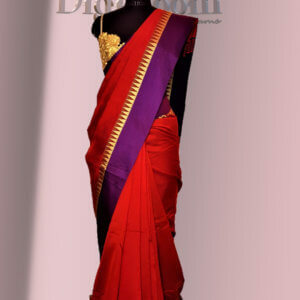 This saree is for the modern contemporary woman who embraces her tradition with confidence and pride.